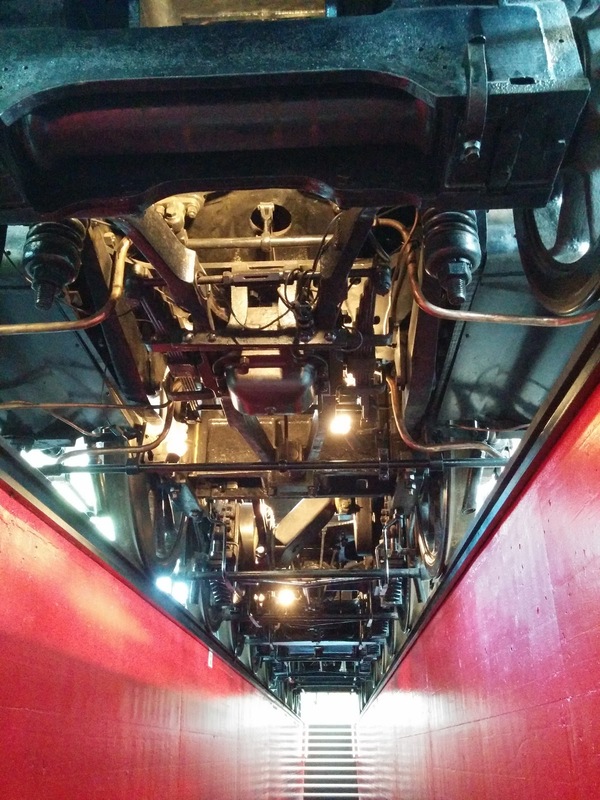 Standing in the pit below the tender of Nr. 2965 I finally really understood how the linkage works so that brake shoes grab a wheel from both sides as the linkage is actuated by the brake cylinder. There's nothing better to really understand than looking at the original. 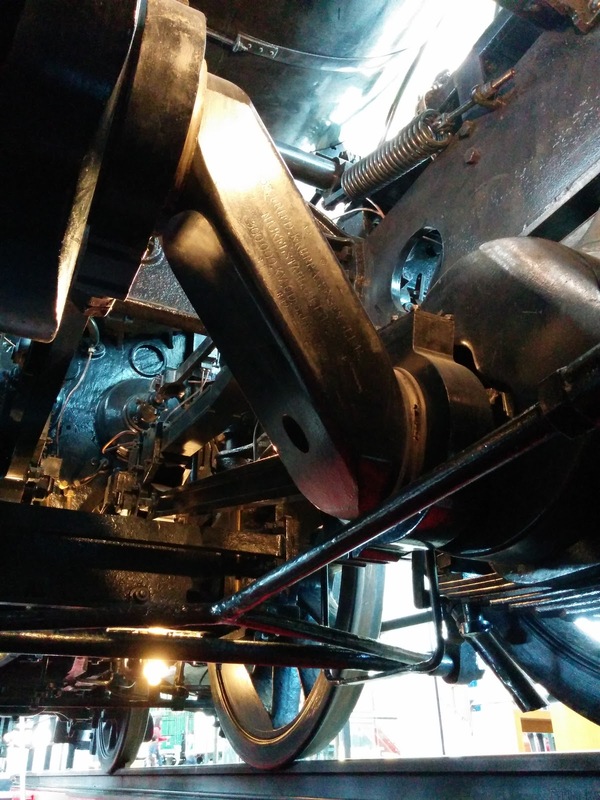 As I was under the locomotive marveling at the construction I noticed the odd arrangement of drive axle number 2. It's a cranked axle. 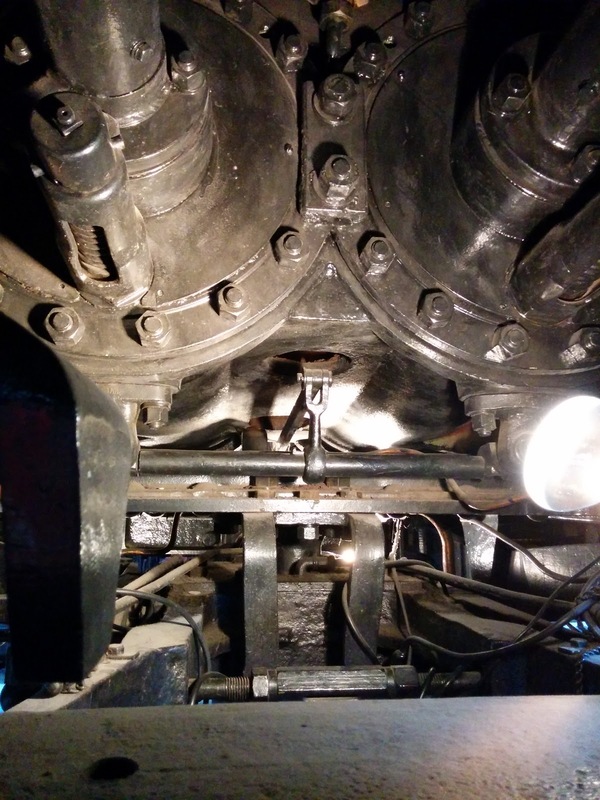 Here's a picture of cranked axle outside the locomotive. 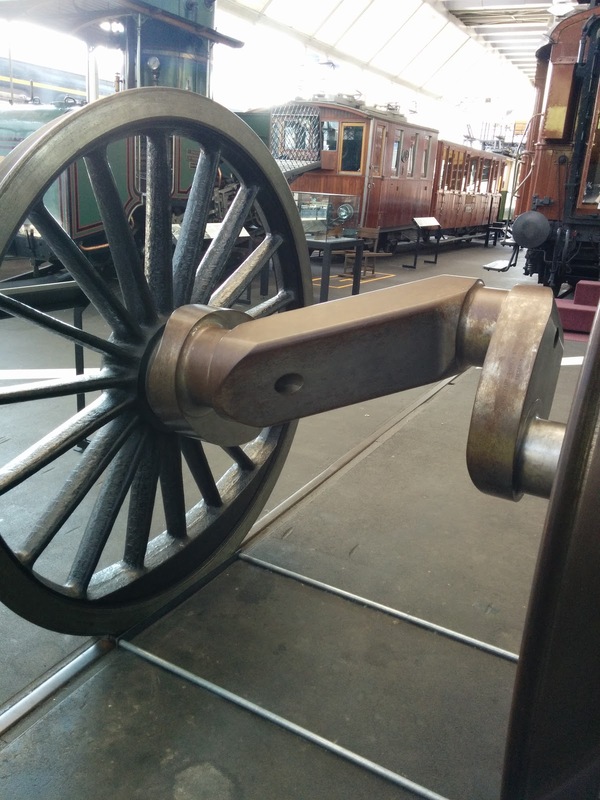 Cranked axles are used on steam locomotives that have cylinders inside the frame in addition to the easily visible outside cylinders connected to the driver rods driving the wheels. The pistons of the inside cylinders connect to the cranked axle. Other examples of locomotives with inside cylinders are the German BR18.3 (for balanced moving weights at higher speeds) and BR44 (for more pulling power). Cranked axle with cylinders and pistons inside the locomotive frame. Looking towards the front of the locomotive. 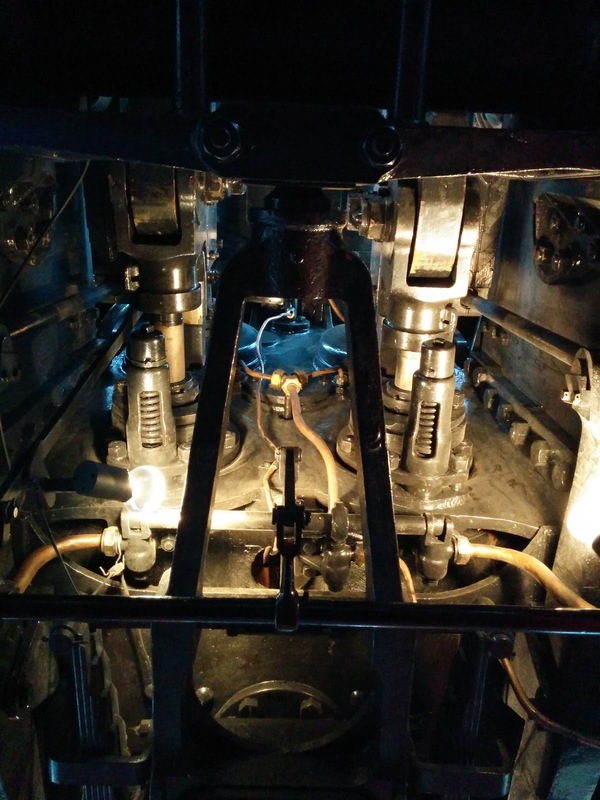 Inside cylinders and pistons. Looking straight up. Looking back at axle 2, the connecting rods to the pistons and how they connect to the axle are readily visible. 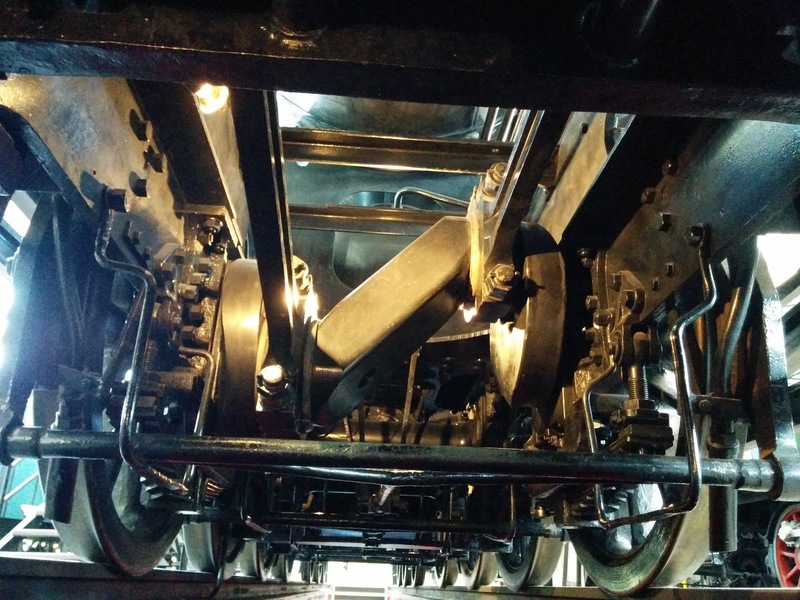 For the last picture I stuck my phone camera inside the locomotive frame to catch a photo of the inside cylinder fronts.